For those looking for an iPhone 4S, Target is offering 16GB models on new activations on Rogers or Fido for $0 on a two-year term; this is normally-priced at $150. The offer ends August 15, and most likely is targeting students going back to school. Both Rogers and Fido recently changed over their voice and data plans to two-year terms and this offer requires a minimum $70 monthly plan. From Rogers, that would mean the $70 Canada-wide plan which includes unlimited long distance minutes, SMS/MMS, voicemail and 250MB of data. For Fido, this would entail the $75 Max Plan which is the same as the Rogers plan but has 500MB of data. 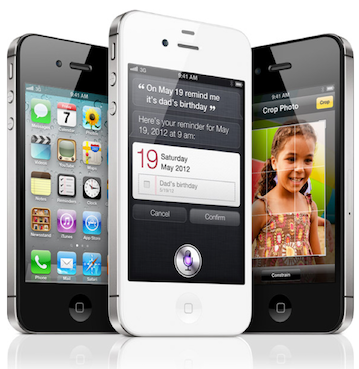 Considering Apple is expected to announce the next generation iPhone 5S on September 10, that means the iPhone 4S would most likely drop to $0 on a two-year term. Let us know if you’re going to jump on this. iPhone 5S to Feature Fingerprint Sensor within Raised Sapphire Home Button?